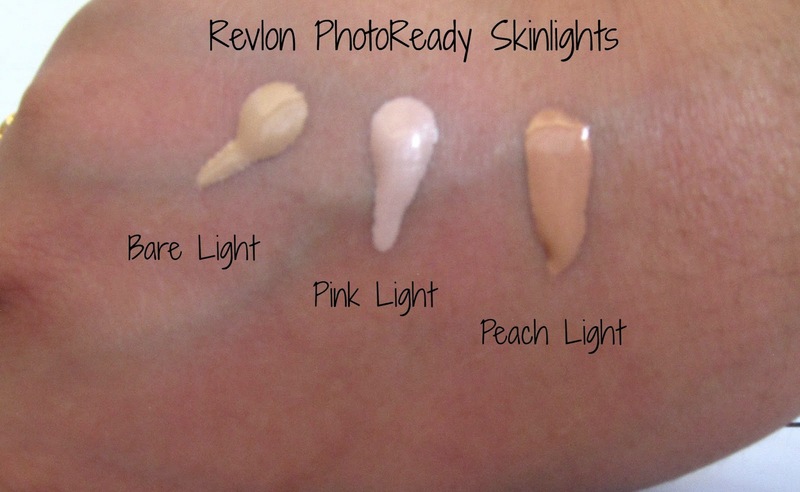 Sometime last year (if my memory serves me well) Revlon brought back their Skinlights range, which had been wildly popular when they had come out. At the time, they were limited edition (I think?) but they're now part of the permanent range. 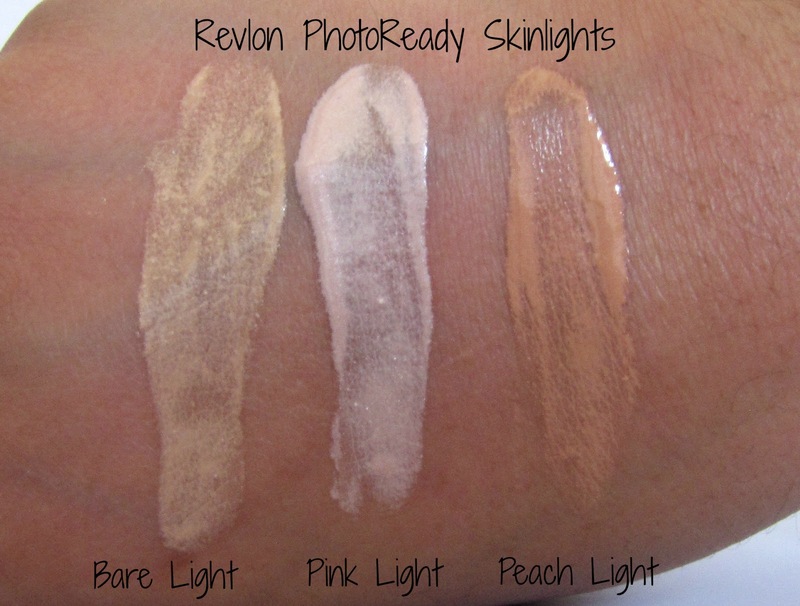 What excited me the most about the Skinlights was, of course, their similarity to products such as MAC's Strobe cream, and Becca's Shimmering Skin Perfectors. The Skinlights, like the other products mentioned, are a liquid highlighter product, which means you can wear them mixed into your foundation, or over your foundation. Since it's a liquid, it's supposed to be easier to use than a powder highlighter, while being a lot more subtle than powder highlighters. I'm not sure why it turned blurry on me. WHY PHOTO, WHY. The packaging is a fairly standard, nothing-to-excite-the-cows-about, plastic packaging. The product s housed in a squeeze-y bottle with a nozzle tip. The nozzle tip, combined with the product's runny nature, does tend to disperse a little more product that needed, so be careful while squeezing out the product. Personally, I would have preferred a pump bottle, because that would have worked perfectly with the product. The outside of the bottle is color coordinated with the color of the product inside, which means that is you store it upright, it's easy to search for and find the shade that you're looking for. On the other hand, because the product is so runny, you really can't store it upright - you need to store it with the nozzle dispenser facing upwards (does that make sense?). Storing upright = excess product flow when you use it next = mucho bad idea. Moving on to the shades, there are four shades in this range - Bare Light, Pink Light, Peach Light and Bronze Light. I have three of the shades, with Bronze Light missing. 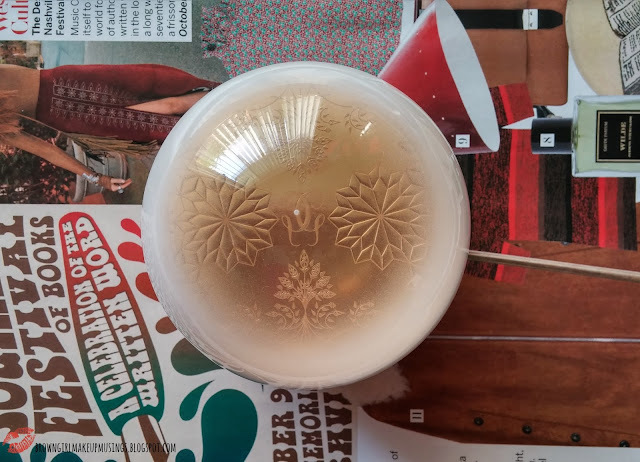 Bare Light is a yellow-based, warm-toned beige-y champagne with very fine gold shimmer in it. This is supposed to be a universal shade, and I do think it's a good shade for most people. Pink Light is the cool-toned, light baby pink with tiny silver shimmer. This is the shade meant for cool tones, but those with warm tones can use it too, as long as it's mixed into foundation, or used sparingly. Peach Light, which is my personal favorite, is a warm-toned, light bronzey-peach with tiny gold shimmer. This is the shade for warm toned folks, and it looks really, really lovely. Those with cool tones will want to use this sparingly, but ideally, I would recommend the Pink Light. These all have a very liquid-y, runny texture - more thinner than MAC's Strobe Cream, and NARS Illuminators. This isn't necessarily a bad thing, because it's more forgiving - if you happen to use a smidgen more, it won't be a complete disaster. However, dispensing it can be a pain, because more often than not, each time you try to use it you'll end up with more than you wanted (thanks to the nozzle tip). If you're really concerned about that, you could always de-pot the product into a separate pump bottle. I had to hold my hand at an angle to prevent these from running down. You can see the very runny texture of these here. They also have minimal shimmer, which I like. On my NC 42 skintone, Bare Light and Peach Light look very natural and blend in. Pink Light looks quite stark. Wear time on these depends on how you use them. If you mix them into your foundation, it gives this gorgeous, healthy glow without looking too dewy or shiny. 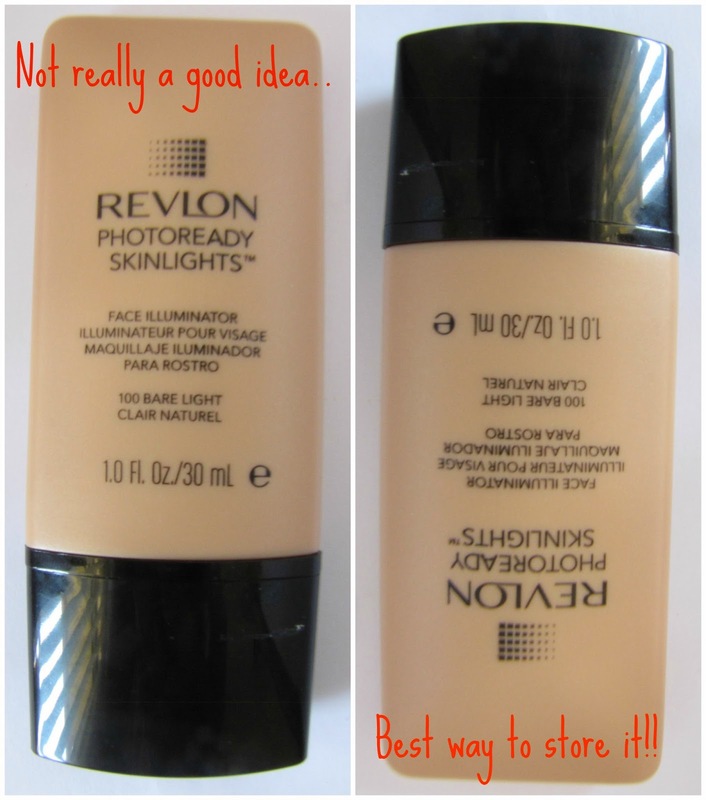 I found that it reduced the wear time of my foundation a little bit - I noticed my foundation fading about the four/four-and-a-half hour as opposed to the five or so hours I usually get. Bear in mind, however, I have oily skin so products tend to last for a shorter time on me. Worn as a highlight, it lasts about as long as my foundation (so about 5 hours). It makes for a very subtle highlight, but it's beautiful, and can be used for everyday. One thing to note is that it doesn't play well if you use the Wayne Goss method of foundation (i.e powder under foundation). 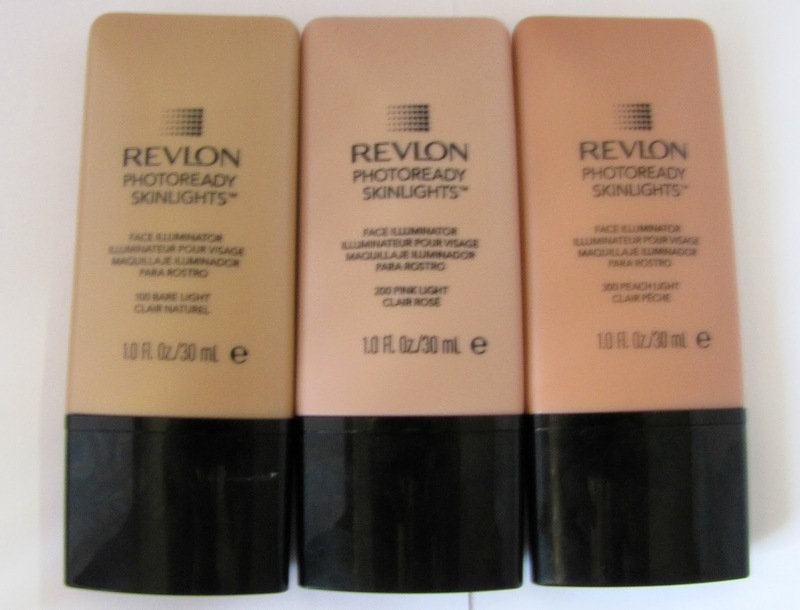 Overall, these are a really good drugstore highlight. I do think that the 'normal' price tag is too high, and suggest that you wait till there's a good sale (Walgreens and CVS usually run buy one, get one 50% off on Revlon products every now and then). If you're looking for something to add a subtle glow on your face, or if you're looking for a daily-use liquid highlight.. I really do think this is something you should check out. Grrrr, I've been trying to get my hands on this for eons, but I can never find them. You've made me want them more! Hehe, I think Pink light would be the one for me! Thanks for this review - I keep seeing these in the pharmacy, but I've never gotten around to trying them, and I haven't seen many reviews around elsewhere :-) I can see why Peach Light is your favourtie - it blends into your skin so beautifully! I recently swatched these and absolutely loved Peach Light! its perfect for indian skin tones!